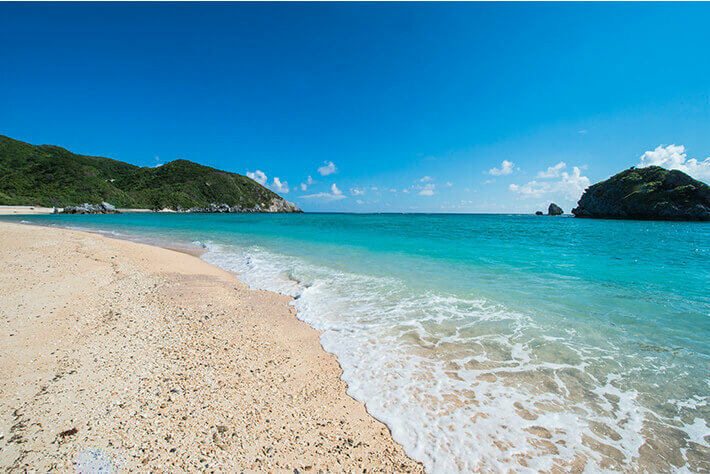 Tonaki Island is located about 58km northwest of the main island of Okinawa. 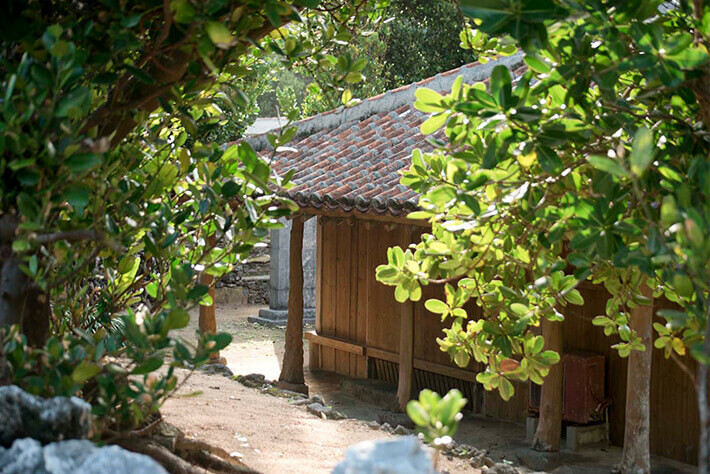 On the island remain traditional scenes of old Okinawa such as traditional houses with red tile roofs, groves of fukugi trees, and limestone walls, with the entire village being designated by the national government as an Important Preservation District for Groups of Historic Buildings. Tonaki Island is a peaceful place where doors are left often left unlocked, leading some to refer to it as the “doorless island.” The nostalgic and friendly atmosphere that envelopes the island is a unique feature of Tonaki Island. 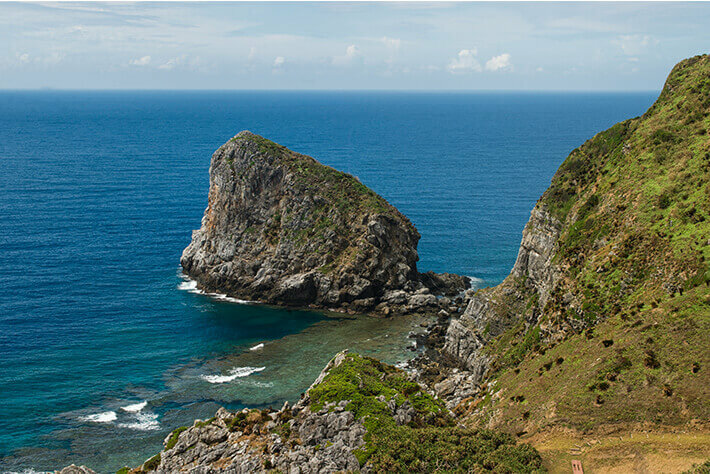 Because the island has not been developed for tourism, Tonaki Island offers a very uniquel experience, captivating those who visit. The fukugi trees comfortably mitigate strong winds passing through the narrow and winding passages, as well as the intense sunlight. Past the meticulously stacked limestone walls lies a traditional house with a red tile roof that was erected over 100 years ago. 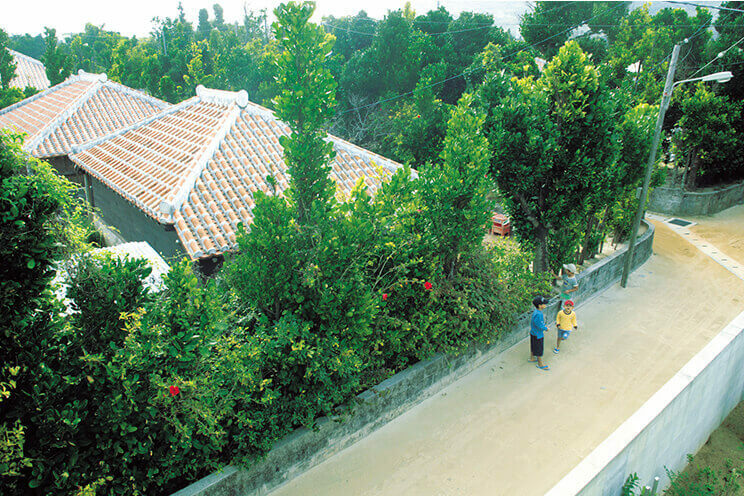 Tonaki Island is a location that offers the unspoiled scenery of Okinawa with old-fashioned homes. The “Asaokikai” (Early Bird Gathering) is a gathering of children responsible for sweeping the white sandy streets, and has been a long-lived tradition on Tonaki Island for over 100 years. 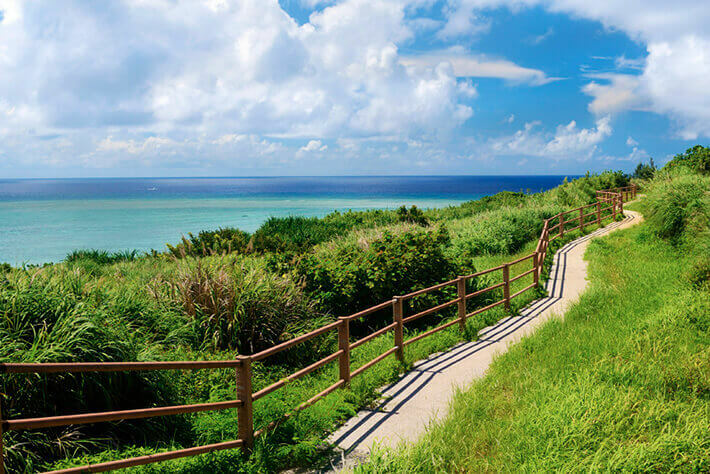 Not only is the landscape of the island and unspoiled scenery of Okinawa treasured, but also the sense of community on the island that values human connection. 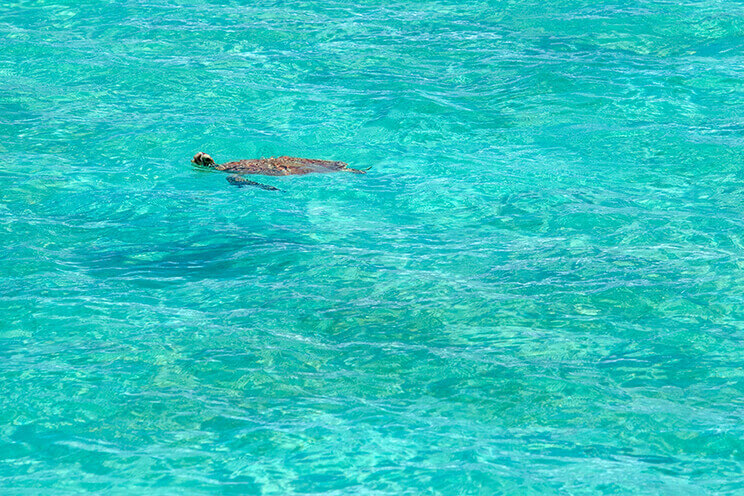 On Tonaki Island, surrounded by coral reef, there is a higher probability of encountering sea turtles by simply walking around the harbor, and they can be observed from land, without even diving into the ocean. At high tide, you can even see the sea turtles from the roadside along the coast, and they sometimes appear near the aquafarms as well, looking for their preferred asa (aosa) seaweed. You may even be lucky enough to see them come up to the sea surface to take a break and find your eyes meet for a wonderful momenory of Tonaki Island. The footlights on Tonaki Island have become the most popular tourist attraction. The footlights installed along the Village Road 1 light up simultaneously at dusk, extending from the village office to Agarihama Beach, a stretch of approximately 800m, and gently illuminate the white sandy road in a fantastic manner. 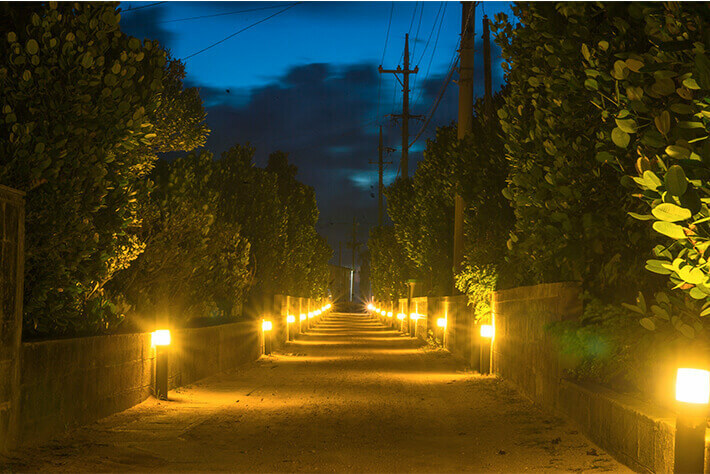 In addition to ensuring nighttime safety, the footlights along the road have been installed in place of street lights as to not disrupt the view of the starry sky at night, the illumination of which offers a wonderful experience that only those staying on the island can savor. *Please select a language from the menu on the top.